Just like in the leg, arm and ankle, pain in the hip area can easily slow down people. It is characterized by sharp pain, which usually affects the lower, upper, left as well as right parts of the hip. To help identify this medical condition, people need to understand its various symptoms. Add to that, it is also important to know its causes. The diagnosis of this painful condition is important to determine the major causes of the chronic pain that patients are experiencing. 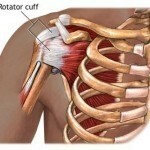 To help alleviate this kind of stabbing pain, it is good to know the different treatments available for this condition. The stabbing pain and tingling sensation associated with hip pain must not be taken for granted. 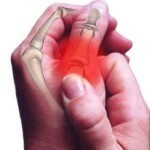 This may look simple but the severe pain that it causes can mean something more serious. Some of the possible symptoms include warmth, redness and fever, all of which are clear signs of infection. People who experience such shooting pain are unable to bend their hips. Aside from the dull feeling associated with this condition, another sign that the hip area is in pain is the swelling of the thigh and hip areas. For patients who are experiencing persisting pain, night pains and inability to walk, it is best to consult your doctor right away and seek the appropriate treatments in order to fight off these painful signs and symptoms. The pain in the hip area is caused by numerous factors. For athletes and people with active lifestyle, the most common cause is stress fracture. For elderly patients, hip fracture is a common problem. Muscle strains can also lead to dull pain in the hip area. Other common causes include snapping hip syndrome, lumbar pain and osteonecrosis. In addition, conditions like tendonitis, trochanteric bursitis and arthritis cause severe hip pain to patients. For kids, the usual causes of pain in the hip area are the Legg-Calve-Perthes disease and developmental dysplasia. Just like other medical conditions, diagnosis is also important when dealing with pain in the hip area. First, physicians will have to take into consideration the medical history of patients, from which a differential diagnosis would be made. In order to achieve a successful diagnosis, it is best for the patients to undergo physical examination. Various kinds of imaging also play a very important part in the diagnosis of this painful condition, namely the bone scan, magnetic resonance imaging and computerized tomography. Of course, do not forget the x-ray. To help relieve patients from pain, they must take over-the-counter drugs like naproxen, acetaminophen and ibuprofen. Non-steroidal anti-inflammatory drugs are guaranteed safe and effective relieving the human body from the painful effects of different health problems like tendonitis, bursitis and arthritis. Add to that, physical therapy, stretching as well as heat and ice application can help fight off pain.